Dating generally becomes problematic for two people who do not have a shared sense of purpose beyond acquaintanceship and romance. Purpose for living involves discovering personal meaning for your life in order to define and accomplish life goals for yourself. Daily you may find yourself working toward your dreams to fulfill your sense of purpose for living. You have earnestly set your goals. You continually explore opportunities for personal growth and development. You know who you are, where you are headed in life and have a plan to get there. However, you cannot say the same about dating. You realize you do not have clarity of purpose when it comes to dating. If this article speaks to you, it does not guarantee that you will discover the ideal person to date, but it will assist you on some level with defining a sense of shared purpose for dating. Just as purpose involves finding meaning for your life, shared purpose involves discovering shared meaning for dating. Dating generally becomes problematic for two people who do not have a shared sense of purpose beyond acquaintanceship and romance. What is your primary reason for dating a particular person? Do you have a secondary reason for dating the person? What do you believe the primary reason is that the person chooses to date you? Do you believe there is a secondary reason the person chooses to date you? Do you believe you both have a shared purpose for dating? If so, what do you believe the shared purpose is? 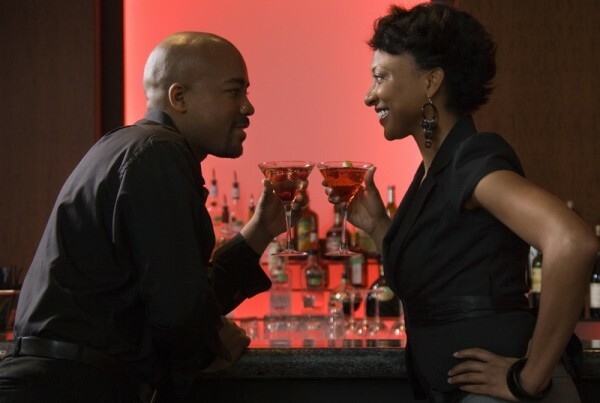 Does your date believe you both share a purpose for dating? What does your date believe the shared purpose is? Now try this simple exercise. At a time and place you think appropriate, and where you will not be disturbed, follow the below instructions to help you clarify and reflect upon shared purpose with whomever you are dating. Cut a sheet of paper into 20 pieces. Evenly divide the pieces of paper between you. Without discussing, separately come up with 5 topics (concrete tangible objects such as a dog, car, house, etc.) and 5 values (ideals or desirable qualities such as respect, education, spirituality, etc.) of importance to you. Use only one word for each topic and value. Write each topic and value on a piece of paper and fold afterwards. Do not share topics or values beforehand. Exchange topics and values and take turns sharing what you each think about the other’s topic or value. Comment on each other’s topics and values and not your own. Do not interrupt each other when sharing about a topic or value. Just listen and reflect on what the other person is saying. Listen with your heart and mind as well as with your ears. Refrain from becoming opinionated about each other’s responses and only ask questions at the end of each other’s responses to clarify comments you believe you did not hear correctly or failed to understand. Once all topics and values have been shared, revisit questions 1 – 8 listed above and openly discuss answers to the questions and responses to the topics and values you are both comfortable discussing. Be guided by the certainty of the answers you determine for yourselves and where you think dating is headed for you both, how it fits into plans you each may have about individual goals and whether together you have a shared vision for collaborating to accomplish each other’s goals with shared purpose. Dating is a personal choice and preference for befriending and getting to know another person. Remember to date responsibly. Also keep in mind that shared purpose does not mean dominating or imposing your will on another person. Shared purpose freely involves sharing a sense of meaning together for individual and mutual accomplishment. When forces of will are not compatible, either person should be free to refrain from dating the other to maintain the integrity of your acquaintanceship. Here is wishing that you discover the one date that ultimately completes a shared sense of who you are with him or her for achieving meaningful purpose together for having met.